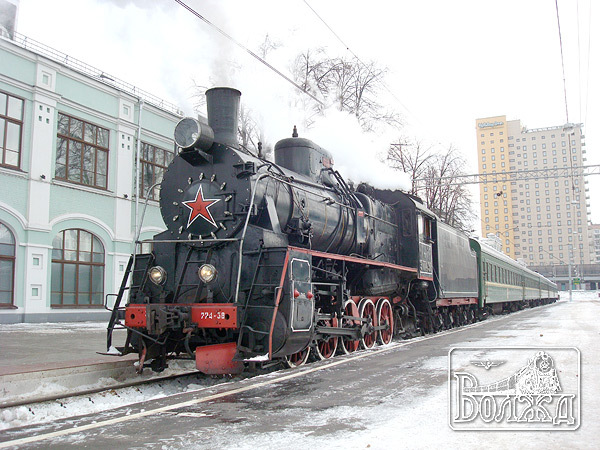 A regular weekend retro train led by a steam locomotive has been circulating in Moscow for already 2,5 years, starting from the Rishsky station. For Russia, a country where common people could traditionally afford only modest entertainment and hobbies, it is most unusual. For the last half of a century, the Moscow railway amateurs had two dreams, quite fantastic both of them. 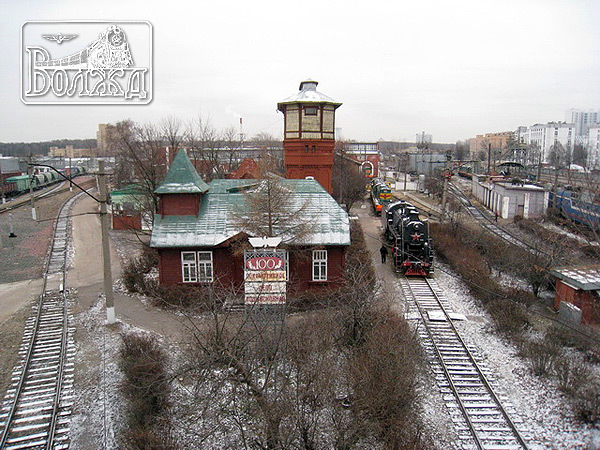 The fist dream was to have a railway museum in the city, with real survived old-timer locomotives and cars. And the second, even more fantastic, dream was to have sometimes an opportunity to make a journey by a retro train on steam. Did we want too much? Trains of the kind are very popular and usual in all the developed countries. Both in Europe and the USA, a lot of retro trains make their way according to time-tables published in almost luxury amateurs’ editions. For Russia, such kind of technical culture has been quite unfamiliar up to recently. Steam traction in the USSR actually existed up to 1986 (the last route, in the North-Western province of Karelia). And already in 1987, the first retro train made a journey from the town of Pavlovsk to Leningrad on the occasion of the 150-th anniversary of Russian railroads. This, however, was organized for high-rank state officials. In the post-Soviet Russia, a couple of retro trains made their way, but this was for reach people, foreigners most of them. 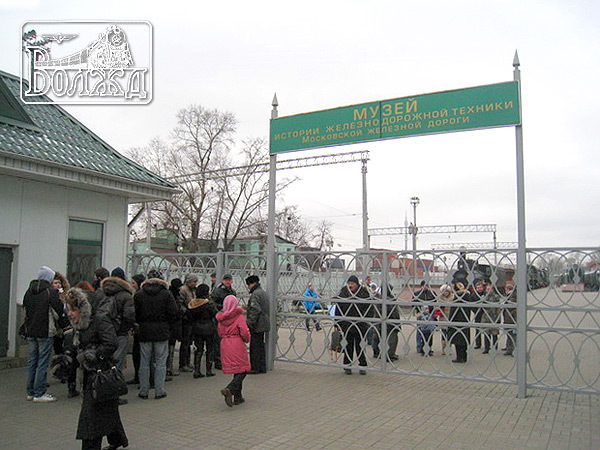 The young Russian business however made a precious contribution to the railroad history, for it saved a lot of unique steam locomotives which otherwise would be melted. Unfortunately, over 80% of old Russian locomotive series’ have not survived. The first retro train for common people which everybody could take just paying reasonable money for a ticket, was launched by the Delta-Copia company in 2005 in the Southern Russian city of Rostov-on-Don. 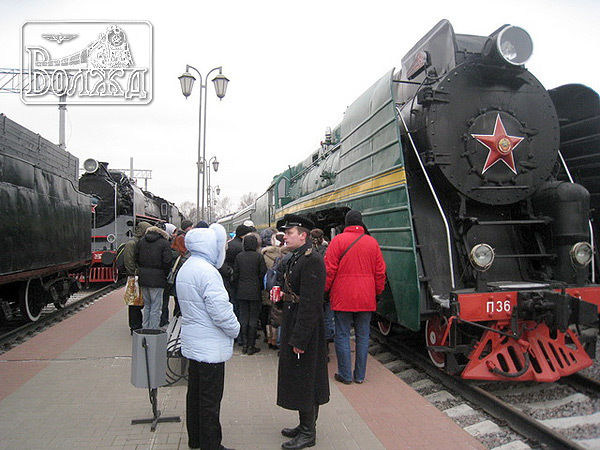 Since that, it makes regular excursions from the Rostov station to Gnilovskaya station where the museum stands. About 50.000 passengers have already taken part in the excursions that are very popular. A year later, after breaking enormous bureaucracy barriers, Delta-Copia managed to launch such a train in Moscow. When the train goes from the Rizhsky terminal to the Krasny Baliyetz station, the passengers can see the moving steam locomotive by video. 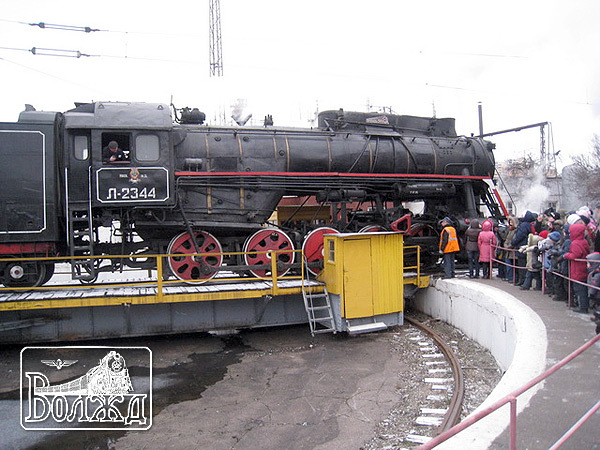 And then, they make an excursion to the old steam depot of Podmoskovnaya where they see a miraculous scene of the locomotive’s U-trun and water filling. 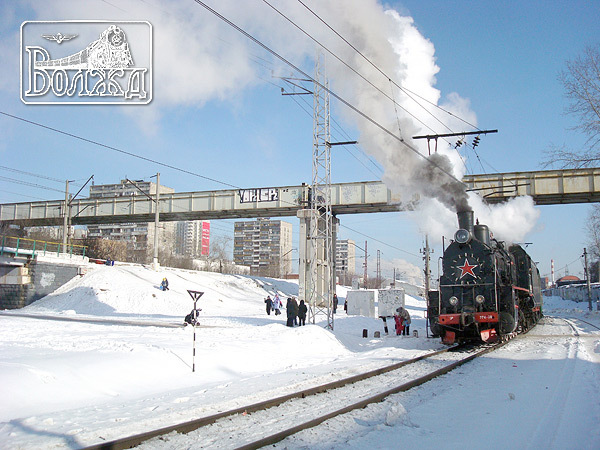 For this, our most gratitude to the Moscow railroad, especially to its Locomotive Department. The revival of the steam traction took a lot of work as the old infrastructure had been naturally lost. Where to store the coal, how to load it on the locomotive, how to revive the old water pump, where to clean the furnace, - all these questions had to be solved. The road prepared several steam locomotives and trained a couple of steam crews which was an unusual task for the XXI century. 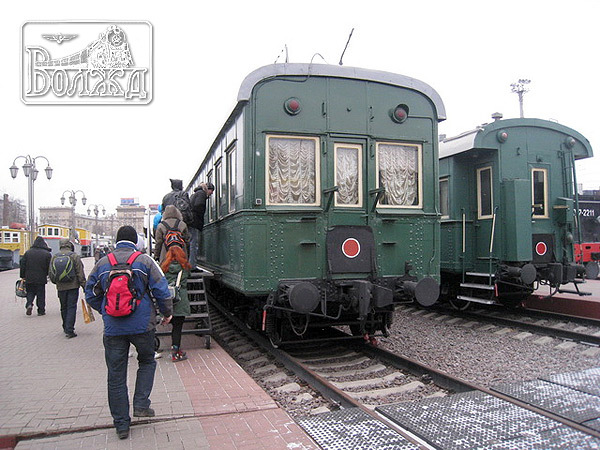 We are also grateful to the Moscow City Government that gave us the five rail cars especially equipped for tourism. The Russian Railroad Amateur Society contributed all kinds of suitable work, up to putting a lot of historical photos on the car walls. The success of the tour has been beyond all expectations, even for the tour operators themselves. 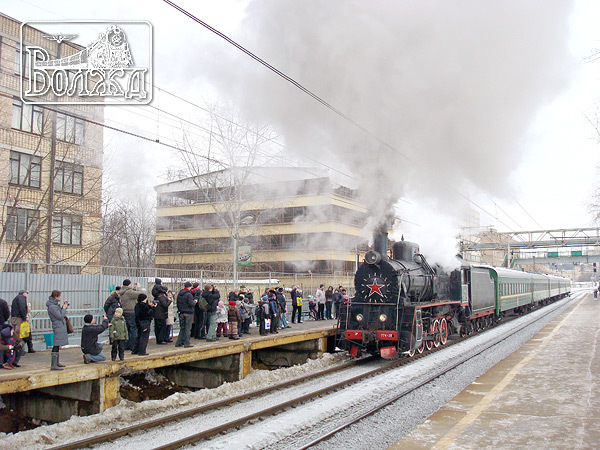 Resembling the old good times of the XIX century, a lot of public comes to see the train, including children which are not at all afraid of the steam locomotive! Many take photos and video films. Thus the great tradition taking its way from the first Russian Petersburg-Moscow trains has proceeded. How the train goes and how the people see it, is very important. So, the train goes on weekends and on the days specially chosen for collective excursions. For the near future, we consider retro tours on the Moscow inter-city rail ring, with excursions in many places of interest. клубные браслеты . Советую покупать Optima FW здесь - https://www.ochkov.net/kvartalnye/opticheskie/optima-fw.htm.